Document Designer PDF maker and Electronic Signature for VTiger has this feature to add a table from related modules. 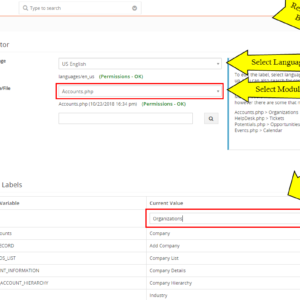 The purpose to add a related module table is to show related records to this specific record. There are options like which fields to show, filter the records, theme, and size it properly. 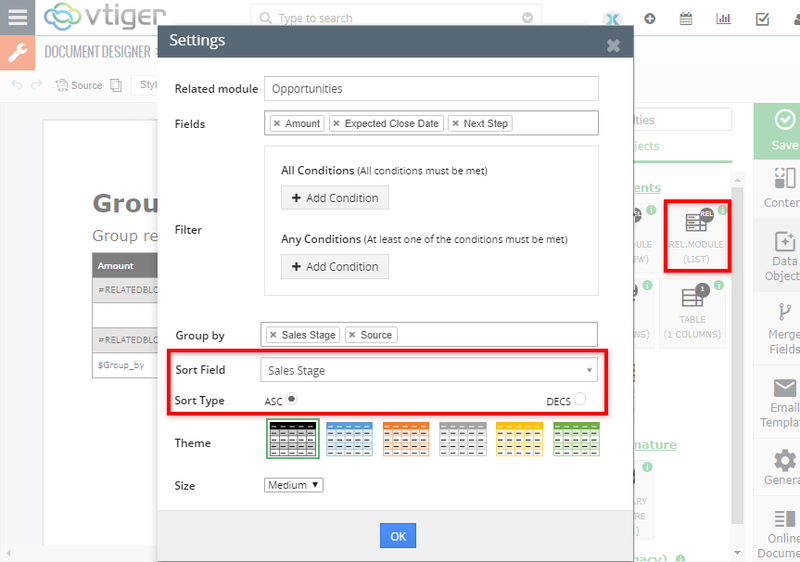 We have added another option to group related records by given fields. If you go to a document in Document Designer > Data Objects > add a Related Module table, you will see the “Group by” field. There’s another option in the same settings block, which is “Sort Field”. 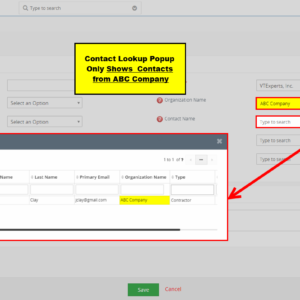 This is a picklist, so you can select one field on the basis of which you want to sort the related records in the related records table. 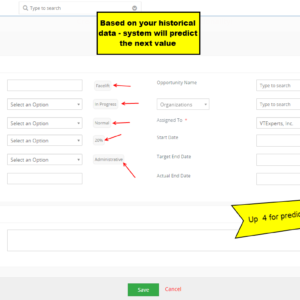 Once selected a field, you can sort them by ascending or descending order, depending upon the requirement. These are just a couple of new features we added to the “Document Designer PDF maker and Electronic Signature by VTExperts” extension. You can find the detailed list of features as well as how to use them in the User Guide for Document Designer. The new features added to the extension can be found here. The extension is included in the Extension Pack. If you have any special feature request that you cannot find in the current setup, simply send us email to [email protected] or join our VTiger Experts via Webchat.